Housepets! - View topic - Just Beachy Limited Edition Poster Now On Sale! Just Beachy Limited Edition Poster Now On Sale! So . . . yeah! Go check that out! Re: Just Beachy Limited Edition Poster Now On Sale! Bought it! poster you'll be mine! I will if it is still available in a month or so.... or maybe a friend can buy it for me for christmas? Doubt it! Only $20 bucks for that! Ugh, if I had my own place. looks interesting. I might buy it when I have the money. 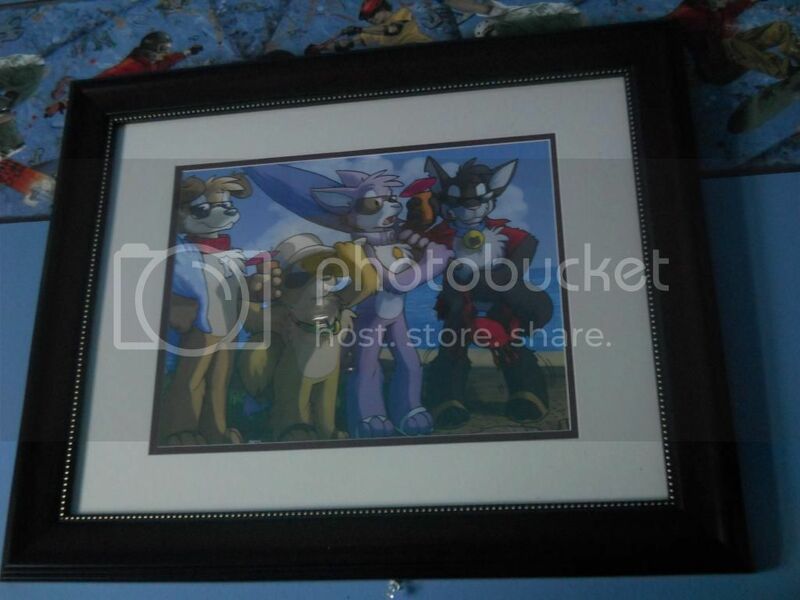 Bought the frame, double YAY! From tonight on, my room's gonna be the most awesome of the neighborhood! Got mine as well. Also gonna frame it. Nice frame, Val. 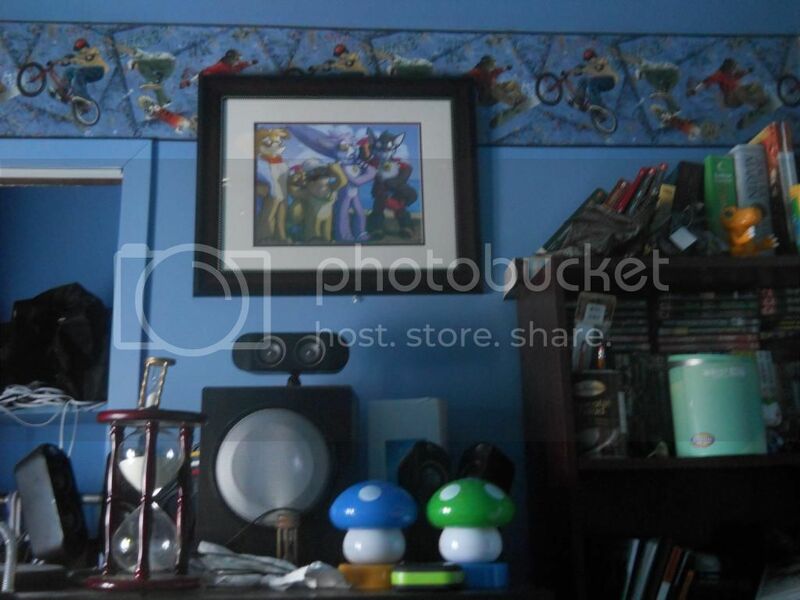 It's got the full size of the picture in it. Sorry it took me so long to post the picture. I had to get my family to find me the frame for it, but they picked out this nice frame. Last edited by GameCobra on Wed Oct 09, 2013 4:13 pm, edited 2 times in total. Just ordered mine! Too bad I ordered on a weekend. 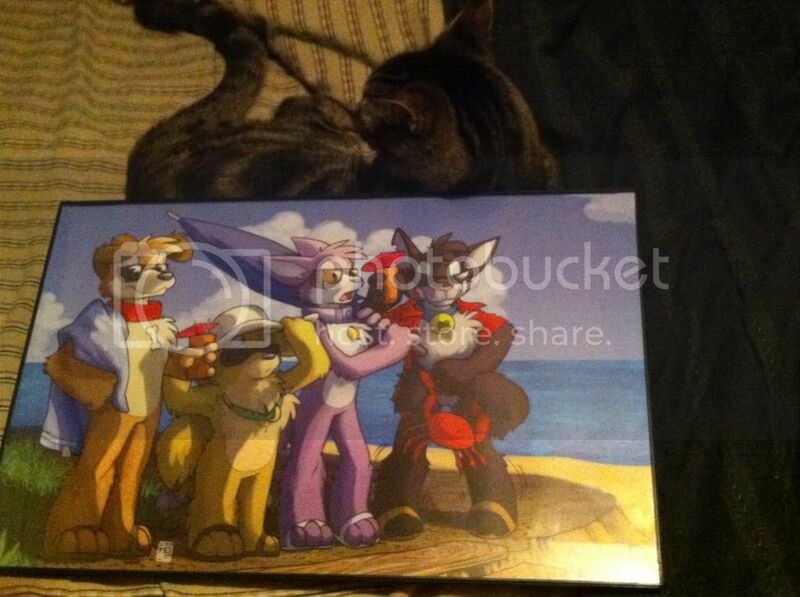 I think it will look good next to my "Fake AH Crew" poster by RoosterTeeth. Edit : Got the poster and frame! Prepare for a Walling! Kitty-Stand brought to you by my cat Keek! My poster came today! It's great! # 43 of 52! Trying to see a brighter future. You lucky people with your money. I wish I had money I could spend but I've got reasons to save. Awww man.... I had wanted to buy one of these when it first appeared, but never had the money. Now I am moving and wanted to see about getting one for the new place. Sadly, they are all sold out. Guess I shouldn't have waited so long.